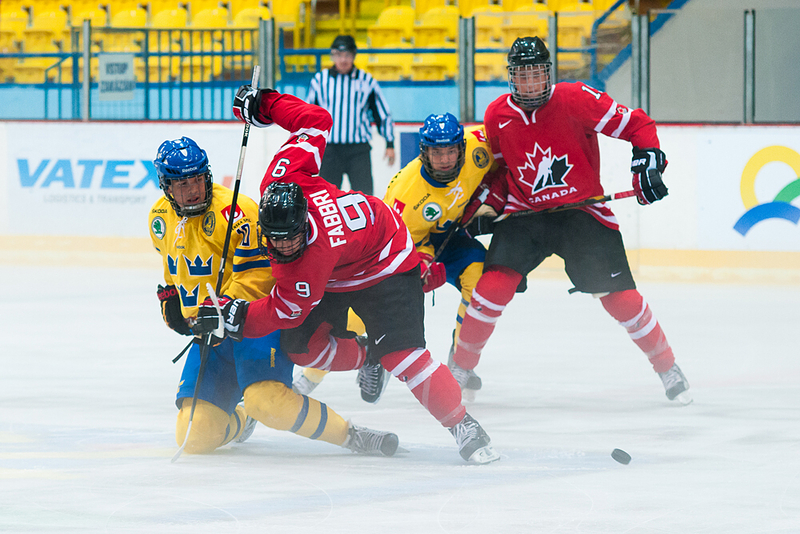 Team Canada suffered their first loss at the hands of Team Sweden at the U18 Memorial of Ivan Hlinka tournament today. However, Sweden suffered it’s own loss as starting goaltender Jesper Eriksson left the game. Jared McCann of the Soo Greyhounds put Canada on the board first but it was Sweden who retaliated with three straight in the first period. Two of those goals came from Swedish sharpshooter Kevin Elgestal. The Swedes carried their 3-1 lead into the third period but Sam Bennett had other ideas as he pulled Canada within one with goal coming at 3:54. However it was short lived as Micheal Nylander Altelius put Sweden on top by two once again. Spencer Watson notched a powerplay goal for the red and white near the end of the third but it proved to be not enough as Sweden hung on to a 4-3 victory. 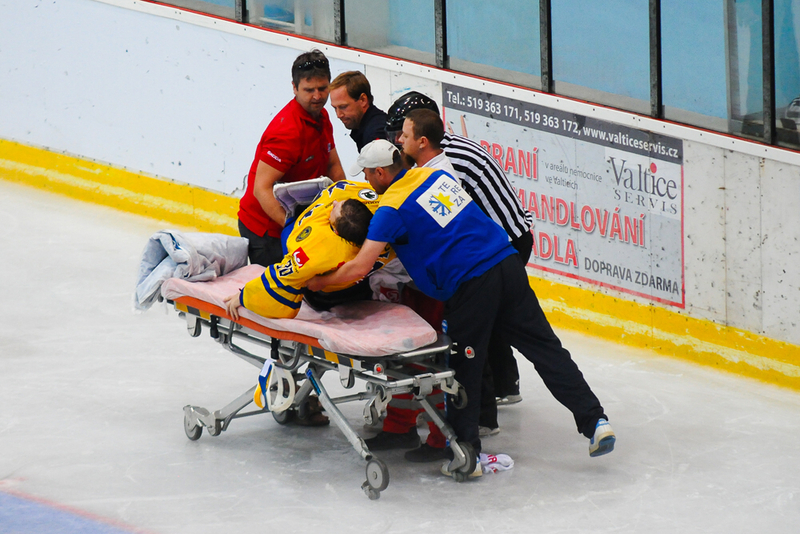 Not all went well for Team Sweden though as starting netminder Jesper Eriksson left the game in the third period after colliding with a Canadian player who had been tripped. Eriksson is rumored to have broken his leg and will be out for the remainder of the tournament and possibly his upcoming season. A penalty was called against Sweden on the play. Team Canada’s record falls to 1-1-0 as they powered over the Czech Republic with a 4-0 victory on Monday. Their next game comes in the form of Team Switzerland who actually formulated a win against Sweden in their second game of action. That game is set to take place on Wednesday at Alcapast Arena in Breclav, Czech Republic.